As if coal wasn’t already royally screwed, the dying industry recently got another dose of stinging reality. Moody’s report has found that the MW-hour cost of wind in the Great Plains comes in around $20. Coal comes in around $30. And these wind energy costs will continue to fall, too. In fact, thanks to a new wind energy technology called “airborne wind,” the cost of wind power could soon plummet even further. 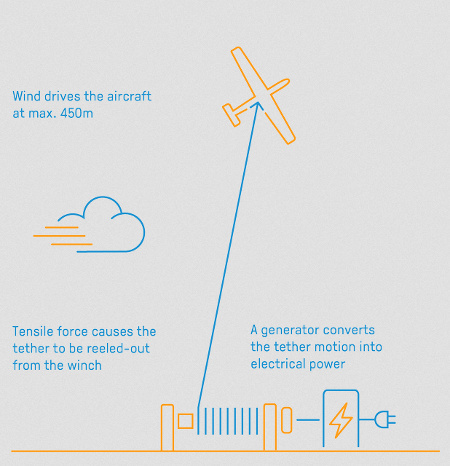 What is Airborne Wind Energy? Airborne wind energy uses the basic design concept for a wind turbine, but without a tower. Instead, it uses a tethered aircraft that moves in a large swept area at an altitude of up to 450 meters, where the wind is much stronger and more consistent. It’s hard to imagine, but this device can actually produce twice the power of a conventional wind turbine and use 90% less materials to build. In fact, the material and installation costs are so low that it can produce a steady flow of electricity — at utility scale — at costs that could even come in lower than natural gas. And given that natural gas is practically free, this is a major breakthrough, not just for wind energy, but for the entire global energy economy as we know it. In that article, an economic analysis detailed how an airborne wind energy system could be 10 times less expensive to produce and operate than a conventional wind turbine. Not only was that analysis sound, but this “theoretical analysis” is now reality just four years later. Now imagine where we’ll be in another four years. While it may be hard for some folks to wrap their heads around, airborne wind energy systems are no longer the stuff of theory and science fiction. They’re real, and they’re being prepped for integration into grids all over the world. 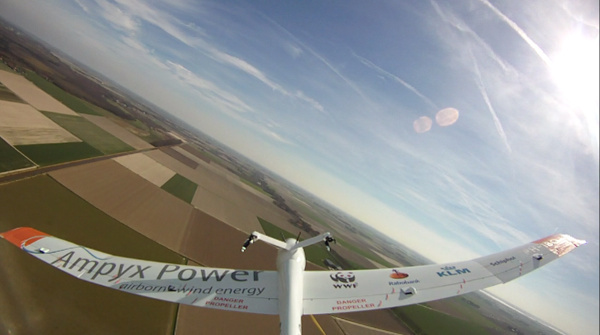 One company that seems to have an early lead on airborne wind is Ampyx Power. 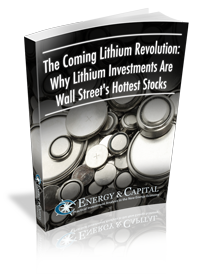 This is a European company that is now being funded by the European-based utility E.ON (OTCBB: EONGY), which is one of the world’s largest investor-owned electric utility service providers. E.ON is hoping to use this technology to deploy a cheaper and cleaner form of power production, not just for integration into national grids, but also for remote locations and islands where it’s very difficult to install natural gas plants and conventional wind farms. Although airborne wind is only now starting to get the necessary testing required to move forward, it is likely that we’ll see airborne wind systems sending juice to the grid in less than five years. In terms of integrating new electricity generation technology, this is lighting fast. Make no mistake; what Ampyx Power is doing is absolutely game changing, and you can be certain we’ll be looking to wet our beaks on this opportunity as it develops. One thing the airline industry has going for it right now is low oil prices... but those won't last forever. Electric airplanes are coming, and JetBlue could be the leader.